Arik is an airline name that you will not be familiar with unless you come from Nigeria or have a need to go the that country. But you ought to. 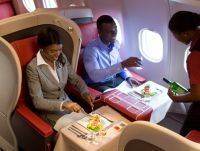 Arik flies daily from Heathrow to the main commercial complex of Lagos, five times per week to the capital Abuja, and also has a Monday, Wednesday and Friday service from New York Kennedy (JFK) to Lagos International Airport. Flights are by Airbus A340 aircraft in a two-class configuration as comfortable as any you will come across. The airline offers extensive regional services including South Africa. Let’s face it Nigeria has not been too successful when it comes to airlines. Nigeria Airways had been founded in 1958 and flown some of the great aircraft of the decades that followed including the Comet 4, VC10 and Boeing 747. In 2003 it failed with tales of mismanagement and corruption. Richard Branson launched Virgin Nigeria in 2005 but that arrangement fell apart in 2008, the current Air Nigeria regional operation the result. In 2004 Sir Joseph Arumemi-Ikhide, a renowned Nigerian entrepreneur with extensive business interests across several economic sectors, but especially in the engineering and oil industries, incorporated Arik Air. His own travels within Nigeria he found fraught with very limited railway lines and a poor road infrastructure. A private jet – and he still operates a Bombardier Global Express – was not the answer. His son Dr Michael Arumemi-Ikhide (34), a graduate from St Andrews University Scotland, runs the airline very much hands-on. Arik Air made its first scheduled flight on 30 October 2006 from Lagos Murtala Muhammed International Airport to the national capital of Abuja using a Bombardier CRJ 900 aircraft. The service continues to this day, normally a two-class Boeing 737-800 with four return flights. In November 2010 the airline welcomed its six millionth traveller. Last year it carried 2.3m passengers and had a turnover of US$400m. On the international front Arik serves Heathrow and JFK. Houston is firmly in the sights for 2010 and Sao Paulo is also being considered. Note the oil industry connections. The airline currently operates to 27 destinations. There are 24 scheduled airports within Nigeria but many of these are VFR (visual flight rules) and consequently subject to delays and cancelations due to dust clouds. This can be an inconvenience. 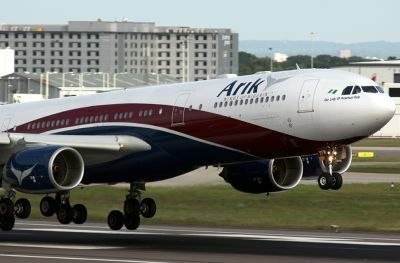 Arik has a fleet of 26 aircraft, mostly owned but including a pair of Airbus A340 wet-leased from Portuguese operator Hi-Fly. The contract on these aircraft is due to expire at the end of the year but indications are that they will be retained. The -500 series ‘planes were originally built for Kingfisher Airlines to a very high two-class specification but have been artfully rebranded. Unless you knew different you would think that they were Arik from day one. Even the lighted seat controls say Arik. Premier Class clients are offered one of the largest on-board lounges and bar seen in the air. Catering and service is up to international standards. A two-class Airbus A330 is used on a daily service to Johannesburg. Boeing 737s are the norm on regional routes, and even Abuja to Heathrow. There is a proper and very comfortable Premier Class of three rows 2+2. On other short haul services Bombardier Q400 and CRJ900s find favour. Boeing 777s are pencilled in for the future but the airline could just as easily go A330. 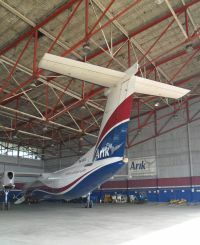 Arik International is established outside Nigeria with offices in the City of London. These have proved ideal for European marketing, procurement, finance and travel trade and inter airline activities. The airline has been adept in recent times in cementing contacts with other carriers regarding interline and code share arrangements. The London office is essential for these important relationships as well as gaining vital rapport with suppliers and trade organisations. The arrival of Kevin Steele as Senior Vice President Commercial last November marked another forward step for the airline, the 30-year British Airways veteran more recently occupied in Saudi Arabian airline activities and prior to that very much involved with the successful introduction of Eithad. He sees Arik Air as a vital segment in the expansion of airline activities in West Africa with Lagos as a hub. There is a plan now under way to eradicate many of the inefficiencies that have found their way into the operation of the airline during its short life. Aircraft utilisation needs to be significantly improved and problems such as fuel supply at Logos eradicated. It seems incredible that in a country that is a major oil exporter the airline's less than impressive timekeeping is in the main due to delays with the bowsers at the country's airports. This does not affect so much international carriers at Lagos who generally speaking have only a single daily flight to refuel. For the public and the travel industry the first results of Mr Steele’s efforts is a new web site to be launched on 1 March followed by a completely revised timetable due on-line at the end of that month. 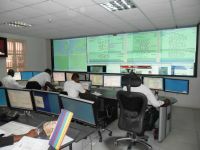 Connections and ticketing both ways between regional and international sectors at Lagos are set to progress and a target of a 30% improvement in revenue has been set without any increase in the size of the fleet. The airline expects to be cash positive in 2012. Whilst it cannot compete with the UK carriers in terms of universal incentive schemes a frequent flyer programme is being introduced and the Heathrow lounge arrangement will be brought up to the standard required for international competiveness. The present offering might be OK for European flights but not long haul services. Free Heathrow Express tickets for Business Class clients is another possibility. 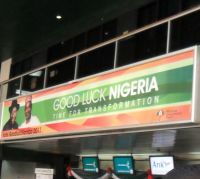 Where the airline does score is the luggage allowance, essential with Nigerians not noted for travelling lightly. For Economy passengers it is 2 x 30kg per person plus whatever you can manage as carry-on. But even with this generosity the airline says that overweight baggage is a useful revenue contributor. Arik Air has recently been inspected by IATA International Safety Audit (IOSA) and whilst the results will not be published until March every indication is that the airline will pass with flying colours. An investment in a new Operations Control Centre (OCC) to be ready later this year shows how forward thinking the airline is. In fact the present arrangement is pretty impressive. The airline's main hangar at Lagos is being modified to take the large Airbus aircraft with Lufthansa Tecknik heavily involved in engineering support and flight deck services. Major checks are contracted out to third parties and this is likely to continue for the future. Pilots are a mixture of expatriates and nationals with a training programme under way locally. Likewise with the cabin staff but the airline plans to continue offering the ethic mix. Walking around the Arik Air compound at Murtala it is very apparent the efforts being made to reshape and tidy up the whole complex, with completion expected by the year end. The company's remodelled head office dates back to 1958 and was built for the long forgotten West African Airways Corporation, a commemorative plaque setting out the history. What is also very apparent is the friendly attitude of all concerned, and not only to visitors. There seemed to be a sociable buzz about the whole place. Arik Air is dependent on third party operators for many of the services that are part of an airline operation. This is a problem in Nigeria which seems to go along at its own pace. Even as essentially the international flag carrier for the country changing the thinking is not easy. 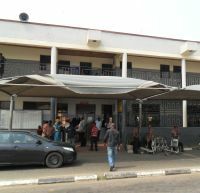 The domestic terminals are on the other side of the runway from international arrivals with Arik in a building that dates from the 1950s and has never been upgraded! The airline would love to fabricate a dedicated 21st century purpose-built domestic terminal. Gaining approval is a matter of patience. It would like to be self-handling too, but this does not seem possible. There is at least some good news. An airside bus service between the domestic and international terminal areas is to be introduced which will enable Arik to offer proper through connecting services. Under construction is a brand new international lounge which the airline plans to move into shortly. But even that will be run by an outside contractor.